I watched Breakfast at Tiffany's when I was about 9 years old. Naturally, I didn't understand it. I was only slightly interested at the scenes where "cat" showed up but other than that, the movie wouldn't steal me away from my then then busy vocation of "Polly Pocket Handling." A few days ago I watched the film again and this time there was (obviously) no Polly Pocket vying for my attention. I was all eyes, ears and heart. And naturally, I understood it more than I ever did. To say I fell in love with the film would be an understatement because it did more than that. I should devote an entire entry for this but before that, if you haven't seen it - go ahead and pop in a DVD or pirate a .mov, it's worth it. There will always be movies or songs or books that you will read at least once in your life. Some of them will make sense, some will strike you like a hot iron or amaze you like a meteor shower but there are some that you might not understand and some that might not even be beautiful. But you will find that at the perfect time, the time when you least expect it the most, you will stumble upon it and like an indian summer it will surprise you. It will seep into your veins like never before and strike a chord in your heart that you never knew existed. I guess we all have to wait patiently for that time. And when it happens you will find that art is no longer a tangible beauty but a mystical lover, almost like destiny. "There was once a very lovely, very frightened girl. She lived alone except for a nameless cat." When I get really excited about something, I sing about it. 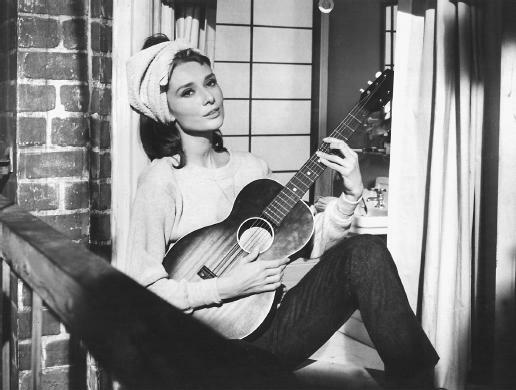 In the hopes of becoming more like Holly Golightly, I recorded a song. 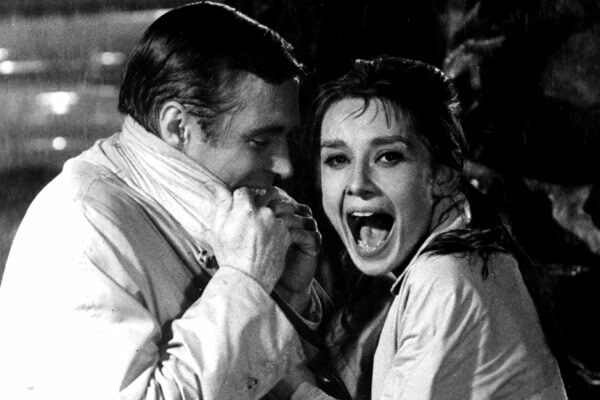 Holly Golightly: "He's all right! Aren't you, cat? Poor cat! Poor slob! Poor slob without a name! The way I see it I haven't got the right to give him one. We don't belong to each other. We just took up one day by the river. I don't want to own anything until I find a place where me and things go together. I'm not sure where that is but I know what it is like. It's like Tiffany's." Paul Varjak "You know what's wrong with you, Miss Whoever-you-are? You're chicken, you've got no guts. You're afraid to stick out your chin and say, "Okay, life's a fact, people do fall in love, people do belong to each other, because that's the only chance anybody's got for real happiness." You call yourself a free spirit, a "wild thing," and you're terrified somebody's gonna stick you in a cage. Well baby, you're already in that cage. You built it yourself. And it's not bounded in the west by Tulip, Texas, or in the east by Somali-land. It's wherever you go. Because no matter where you run, you just end up running into yourself."